PREMIUM NHS-APPROVED FULL-LENGTH ORTHOTIC INSOLE – Designed by our in-house team of dedicated physiotherapists and podiatrists, FootActive Comfort Insoles assist with the effective treatment and relief of Heel Pain, Heel Spurs, Plantar Fasciitis, Ball of Foot Pain, and Achilles Tendonitis. 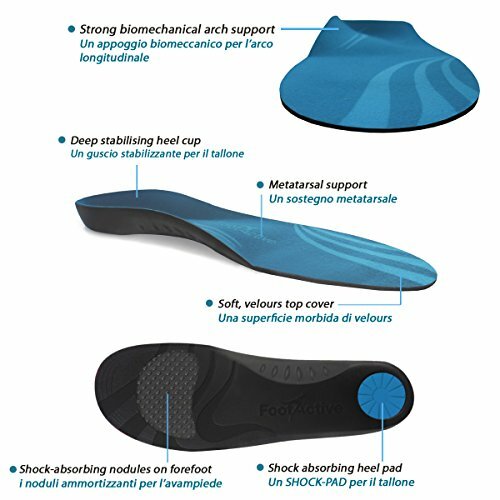 MULTIPLE FEATURES TO REDUCE PAIN & INCREASE COMFORT – These advanced-design insoles feature a premium leather top cover, strong arch support, metatarsal support, deep heel cup for re-aligning foot and ankle, and can be used to correct over-pronation (inward rolling of the ankle/foot), flat feet and fallen arches. LIGHTWEIGHT & SUPREME COMFORT – Created using a premium quality, medium density lightweight EVA with advanced cushioning Durapontex and shock absorbing heel and forefoot padding with micro-fibre top layer, these insoles offer both long-lasting durability and leading levels of comfort. 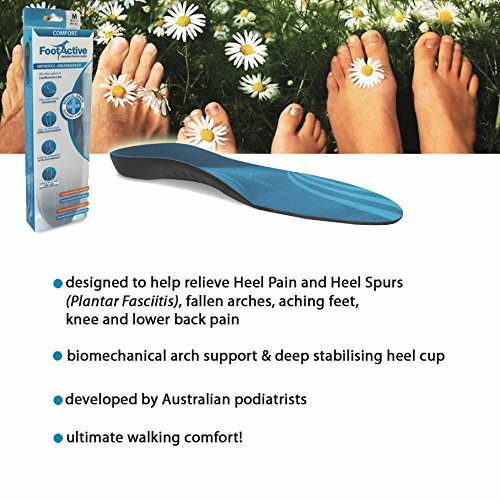 Designed by our in-house team of dedicated physiotherapists and podiatrists, FootActive Comfort NHS-Approved Full-Length Insoles assist with the effective treatment and relief of Heel Pain, Heel Spurs, Plantar Fasciitis, Ball of Foot Pain, and Achilles Tendonitis. 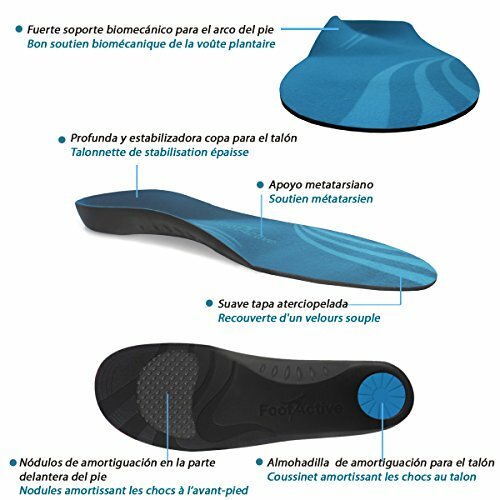 These advanced-design insoles help restore natural foot function to allow joints and muscles to function more efficiently. 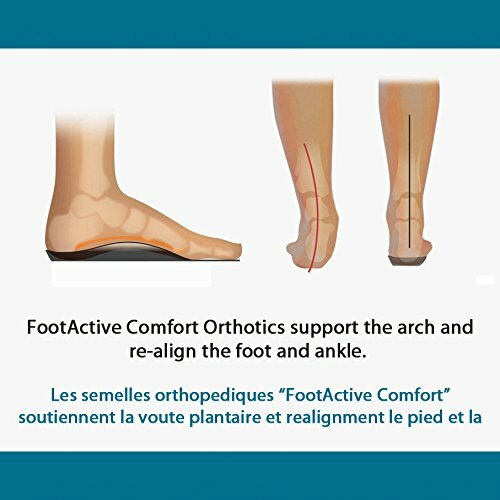 Featuring strong arch support, deep heel cup, and metatarsal support, FootActive Comfort Insoles are perfect for helping to correct over-pronation (inward rolling of the ankle/foot), flat feet and fallen arches. Created using a premium quality, medium density lightweight EVA with advanced cushioning Durapontex, these insoles offer both long-lasting durability and leading levels of comfort and can easily be trimmed to size using a pair of sharp scissors. Highly Versatile – Suitable for use with all lace-up footwear, including trainers, walking boots, and work boots. 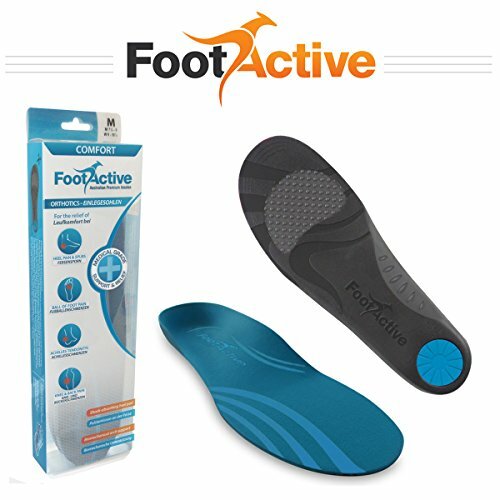 Please note: Our top quality FootActive insoles are always CE-Marked. Please beware of cheap imitations which are NOT CE-marked or recommended by medical practitioners. 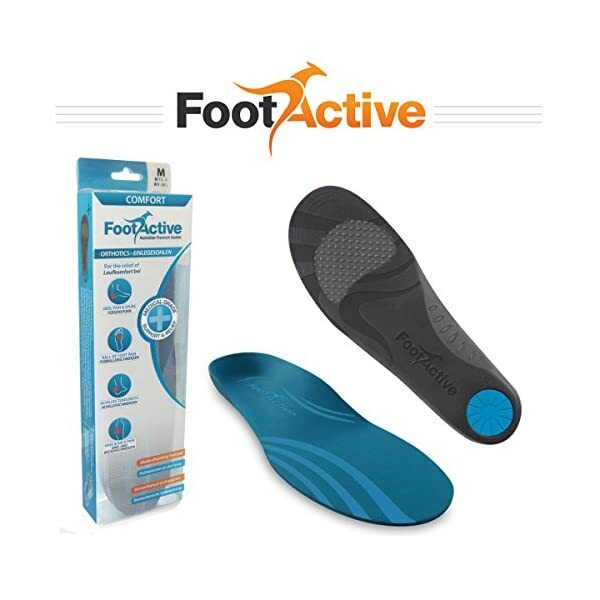 FootActive Insoles are proven to help reduce pain and increase comfort when walking and standing. This guarantee is backed by our 30-day refund or exchange policy, giving you total peace of mind when making your purchase today. 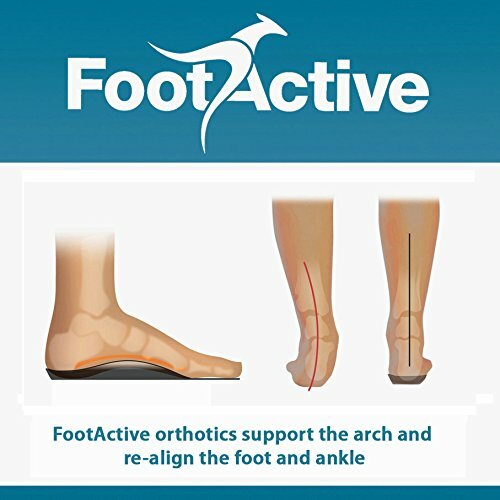 FootActive Comfort full-length arch support orthotic insoles can easily be trimmed to size using a pair of sharp scissors and are suitable for use with all lace-up footwear including trainers, walking boots, and work boots. 100% CUSTOMER SATISFACTION GUARANTEE – Proven to help reduce pain and increase comfort when walking and standing. This guarantee is backed by our 30-day refund or exchange policy, giving you total peace of mind when making your purchase today.